Custom license, please check on labels website. We are a small independent music-label/blog from Dresden, Germany. We aim to explore and release fantastic music. For it we focus on our hometown as well as we look in the big, wide world. We are not driven by any commercial necessities. We’ll select music for creative reasons alone. The founders of djummi-records are musicians themselves, artists, music-lovers, Dresdeners-by-choice. 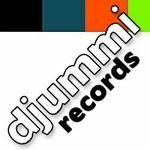 djummi-records is publishing music without focusing on particular genres. All that counts is originality, quality and passion. djummi-records has one eye on the music-scene(s) in Dresden, but is open to music from all over the world. We’d like to release our own works, music from our friends and would like to get to know a lot of new friends. We will release both: long ago forgotten albums from long ago forgotten bands and brand new stuff. We will release in different formats: free netaudio releases, cd-r releases and audio-cd/vinyl releases.